MAC ATTACK Wrap up - The students did a great job and we dodged the rain:) All students have been given back their sponsor sheets. They can begin to collect money from sponsors. 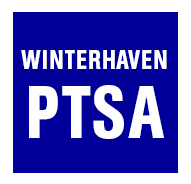 All checks should be written to "Winterhaven PTSA". Please put all money and checks into an envelope with student's name on it and attach to form. Deadline #2--all $ and forms due Thursday, April 27. It is important that all money is turned in by the deadline. Prizes and number of t shirts ordered are dependent on the forms being turned in on time. If you have any questions or concerns, feel free to contact me at: cdixon@pps.net. Thank you for all your support. Middle School Electives - Fridays April 28-May 19, 8:30-10:10 AM -The final Middle School Elective session of the year is rapidly approaching. We currently have several great class offerings, thanks to all of you many parents and community members giving our students your time and talents. However, we're putting out a specific ask for someone willing to teach an outdoor elective. Whittling? Kite Making? Rock Climbing? Outdoor Yoga? We'd love to bring in some new classes! There are also a few ready-made ideas (for example, we're still looking for an engineer to build Ms. Dixon a misting-spray tube assembly to cool off runners for next years' MAC Attack) and we have a ready-to-go curriculum for Hunger Games (capture the flag). Please email Barb Fisher (barb@fisherbusiness.net) or Rebekah Folsom (rsatz@yahoo.com) - the kids would be SO grateful to have you. TAG OMSI Night – The final TAG OMSI night of the school year of Monday April 24 from 6 pm to 8 pm. Parking is free, as well as entry into OMSI.